The Rules of Life by Richard Templar. Just started this book but am hoping to finish it before the weekend! So far it has some very uplifting motivational writing. Bone Blind by Abigail Padgett. Horror story set around authors. It was a wonderful read with well crafted twists, but it lacked on the side of character connection. 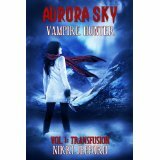 Aurora Sky: Vampire Hunter by Nikki Jefford. Just received this one yesterday and am dying to start it! I love Jefford's writing and am very excited about this new novel. Blue Monday by Nicci French. Through The Glass by Shannon Moroney. 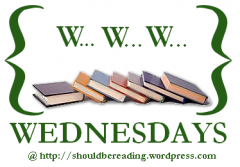 Salvation In Death by J. D. Robb. Great books, I haven't heard of these ones. Happy reading. 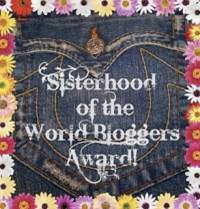 Please stop by and check out my WWW. The Monk who sold is Ferrari by Robin Sharma. Men define intelligence by Taslima Nasrin.